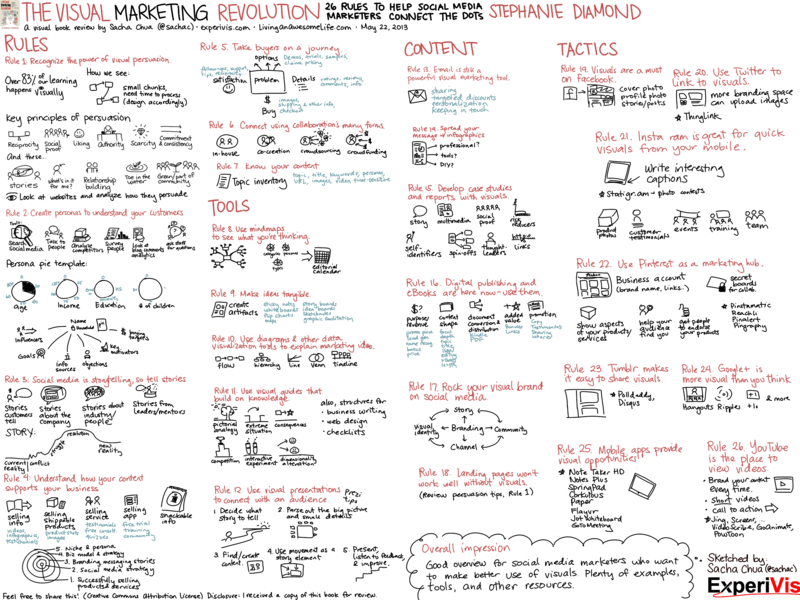 Want to make your social media marketing more visual? 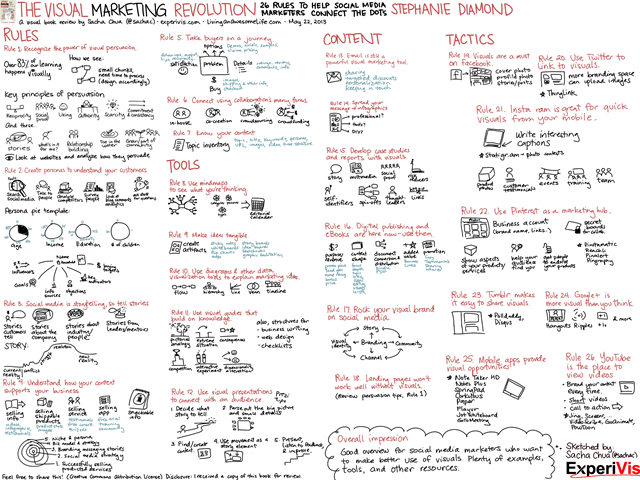 The Visual Marketing Revolution: 26 Rules to Help Social Media Marketers Connect the Dots by Stephanie Diamond (Que Publishing, 2013) gives you an overview of rules, tools, content, and tactics to help you plan and improve your marketing. Click on the image to view or download a larger version. Feel free to share this visual book review! (Creative Commons Attribution – I’d love it if you link back to this site and tell me about it. =) ) It should print out fine on letter-sized paper, too. Intrigued by the ideas? You can check your local library to see if they have a copy, or buy your own copy below. Disclosure: I received a Kindle copy of this book for review, and I’ll get a small commission if you buy anything from Amazon using the links above. I’ve been working on making my own sites more visual, so I’m looking forward to applying the ideas from this book. If you do as well, please share your stories! 2003: Nearly forgot about http://www.nap.edu/ !